The WRC found that the woman was discriminated against because she is a Traveller. DUNNES STORES HAS been ordered to pay €12,500 to a widowed mother-of-six after its security staff asked her to return to a store after she bought a suitcase for a pilgrimage to Medjugorje. In the discrimination case brought against the retail giant by Kathleen McDonagh, Workplace Relations Commission (WRC) adjudication officer Seán Reilly found that the woman was discriminated against due to the fact that she is a Traveller. Reilly found that the actions of Dunnes Stores at its Market Square, Castlebar store in Co Mayo towards McDonagh on 14 October 2016 “were humiliating, offensive, insulting, demeaning and discriminatory and were based on her membership of the Travelling community”. Reilly found that after McDonagh had purchased the suitcase for her pilgrimage trip, she “was pursued out of the store up the public street, called after and she was confronted by a member of the Dunnes security staff in full view of the public and was informed that there was a problem with her”. Reilly said that McDonagh was asked to return to the store and was accompanied there by two members of the Dunnes security staff. Reilly said that it was clear to him that all of the staff involved were fully aware that McDonagh was a member of the Travelling community “and I find that this was the main factor in their treatment of her, which would not have occurred with a member of the settled community”. McDonagh has brought up her six children on her own and most are now grown up. She told the WRC hearing that she works part-time as a home help carer for elderly members of the Travelling community and she is a well-respected and hardworking mother who feels particularly aggrieved at being treated in the manner she was. McDonagh said she prides herself on having a good reputation in Castlebar and believes that if she was a settled member of the public and not a member of the Travelling community she would never have treated “in this appalling degrading manner” and repeated her request for a full and frank apology which at the time of writing has not been furnished. McDonagh and the Dunnes witnesses offered conflicting accounts of what occurred after she purchased the suitcase. Dunnes Stores witnesses denied accusing McDonagh of theft or that the problem was to do with her suitcase. Dunnes also said that McDonagh was not threatened, humiliated or embarrassed and that the matter was not dealt with in a high handed or humiliating way. This was also denied by Dunnes Stores. The security staff told the hearing that McDonagh was approached to be told that she was not welcome at the store as she was barred because of an incident involving McDonagh that occurred at the store in 2011. Dunnes Stores allege that in 2011 McDonagh changed a price tag on a shirt from €25 to €7 and the lower price was paid for the shirt and she was barred as a result. In evidence at the WRC hearing, McDonagh said that it was her 14-year-old son who changed the price tag. 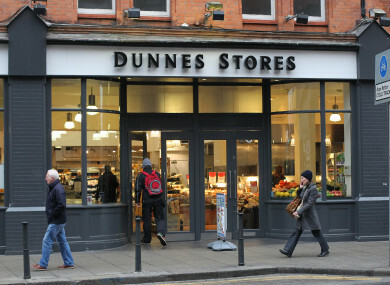 In his findings, Reilly said that the changing of the price “was a deliberate and knowing act of dishonesty and could not have been a mistake or error” and could not have been overlooked by Dunnes Stores. Reilly said that Dunnes was entitled to bar McDonagh at the time even if her version of events is accepted that it wasn’t herself but her son who changed the tag. He said: “However whether it was reasonable for the Dunnes Stores to treat McDonagh as they did on 14 October 2016, some five years and five months later in relation to a matter that did not involve her son is a different question”. McDonagh told the hearing that she had attended the store on a regular basis since the 2011 incident. Email “Dunnes Stores ordered to pay €12,500 to widowed mother-of-six in discrimination case ”. Feedback on “Dunnes Stores ordered to pay €12,500 to widowed mother-of-six in discrimination case ”.